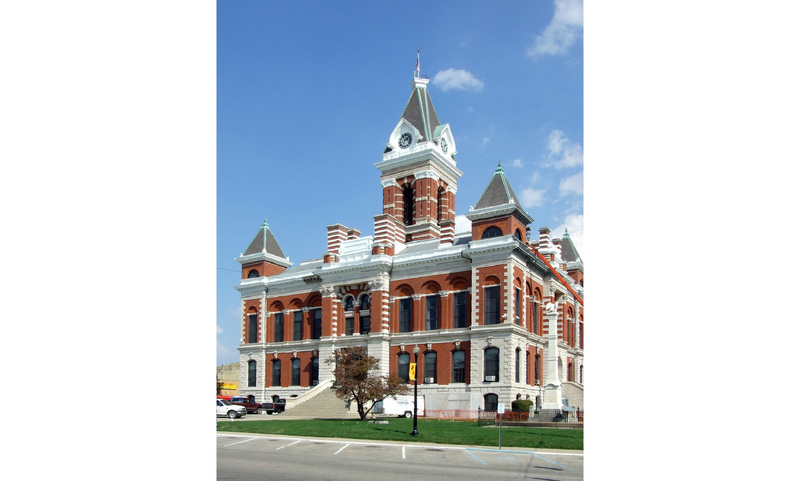 The Architura Corporation was hired by the commissioners of Gibson County, Indiana to analyze county government office space along with space and location for the court for Gibson County. This report reviewed findings and made recommendations for the planning of a new justice center for the Gibson County Courts and renovation of the existing courthouse for county government offices. The goal was to define the amount of space needed for a justice center to house existing circuit and superior courts and plan space for a future superior court. 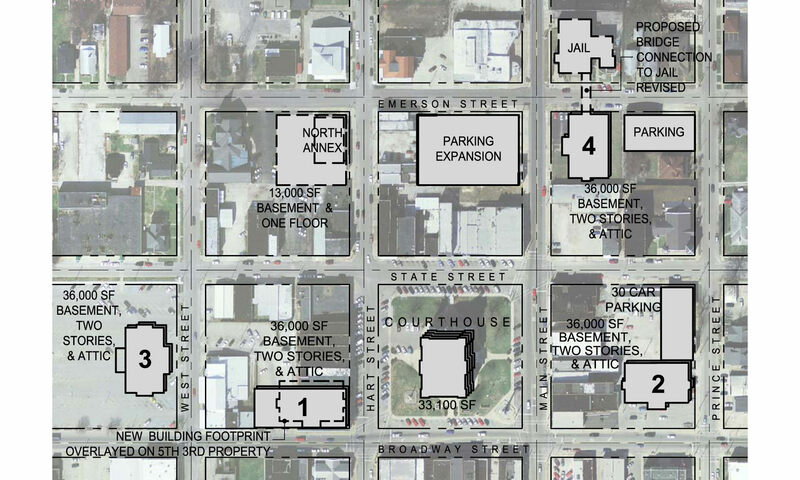 The location of the new justice center was to be located on a piece of property close to the courthouse. The following steps were used to achieve the justice center goal. Analyze required spaces for a justice center to serve one circuit court and two superior courts. Locate other county government offices in spaces owned by the county, but not in the justice center. Prepare a program of space requirements for the new facility. 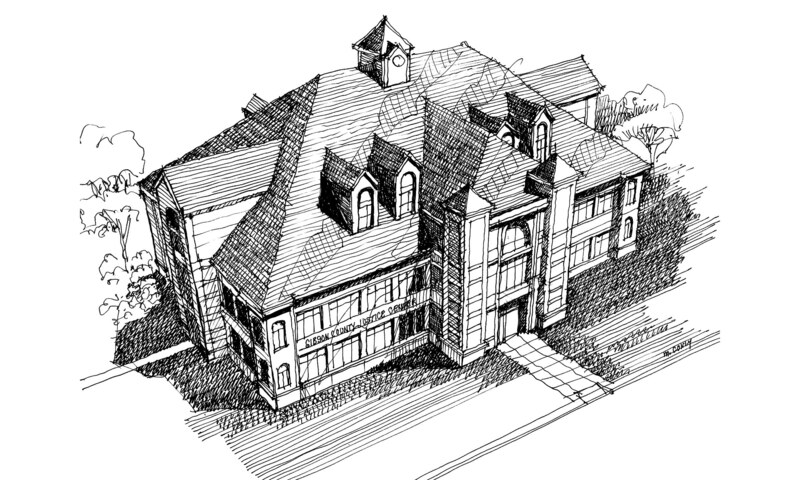 Prepare concept plans to test the amount of actual gross square footage needed for the justice center. Analyze selected sites near the new justice center. Analyze the cost of the new justice center. List a comparative analysis of the selected sites including costs for each site.